6:30 - 7:00 PM CST. Call in, and let's talk books and writing and ... aliens! I hope you'll call in and chat with us! Click the image to go to the Facebook event page where you'll find call-in instructions! If you've been wanting to read my books, now's the time to grab them! 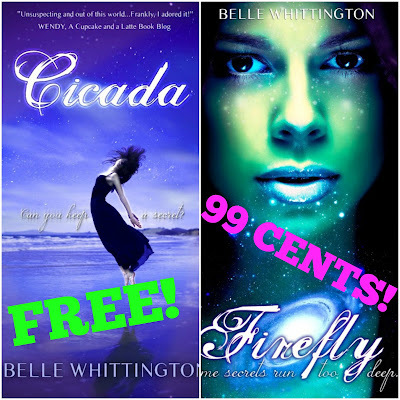 Cicada is currently *FREE*, and Firefly is *99 cents* (for a very short time)! Thank you so much for reading and reviewing my books!